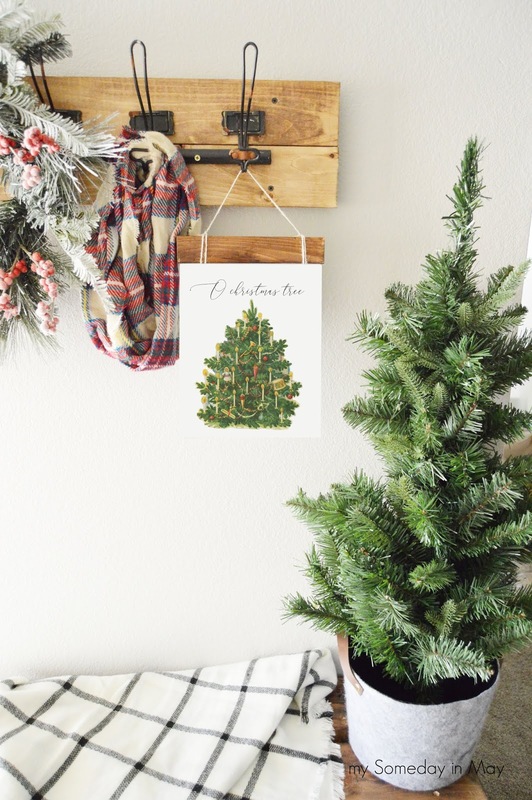 I look forward to this collection of Christmas printables every year! 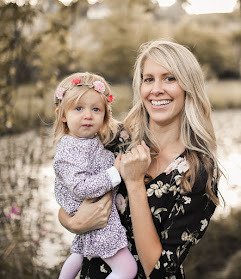 I'm so grateful to Kristen from ellaclaireinspired.com for putting this together every year! If you're new to my blog, I'm Emmie and I love to work on craft projects and free printables! 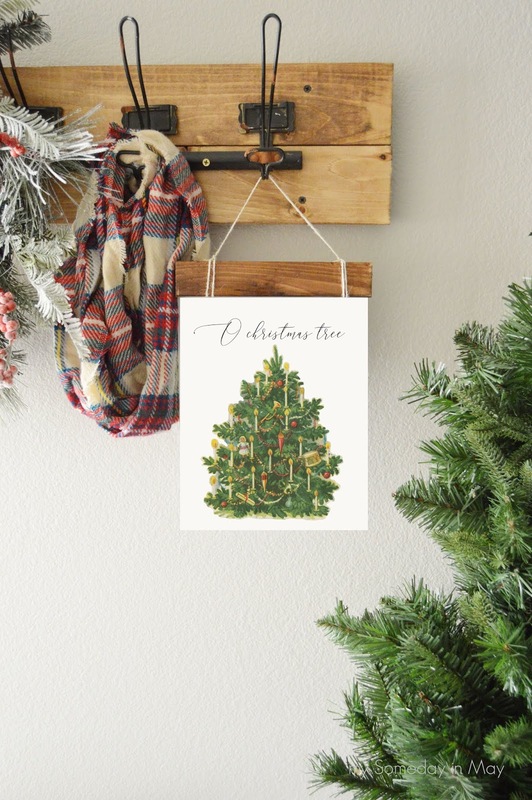 This year I decided to do something a little more simple and I found a vintage graphic of a Christmas tree and wrote "O Christmas tree" at the top. 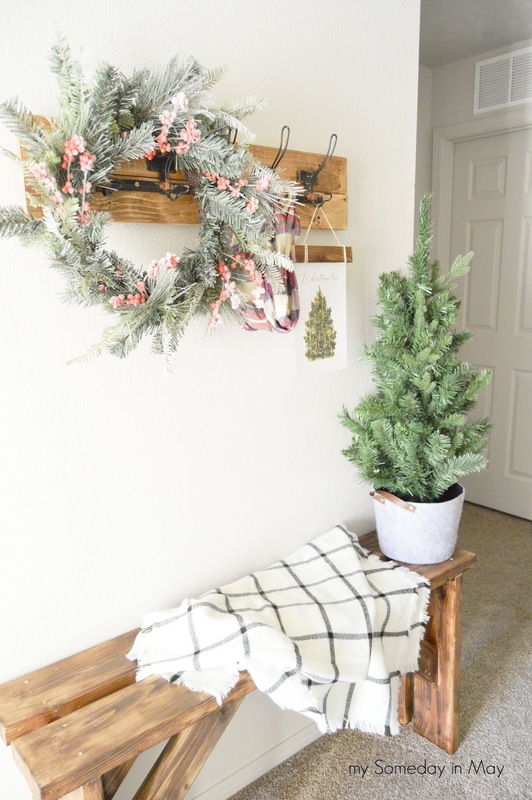 I knew I wanted to hang it from the hooks in the entryway so I grabbed some wood I had left over from another project and stained it and just wrapped it with twine to hang it. I printed my "O Christmas tree" print on cardstock and just taped it to the backside of the wood. I thought about stapling it but it hasn't fallen off yet and this way I won't have to rip it off when I'm done with it. My husband just made this bench for me. 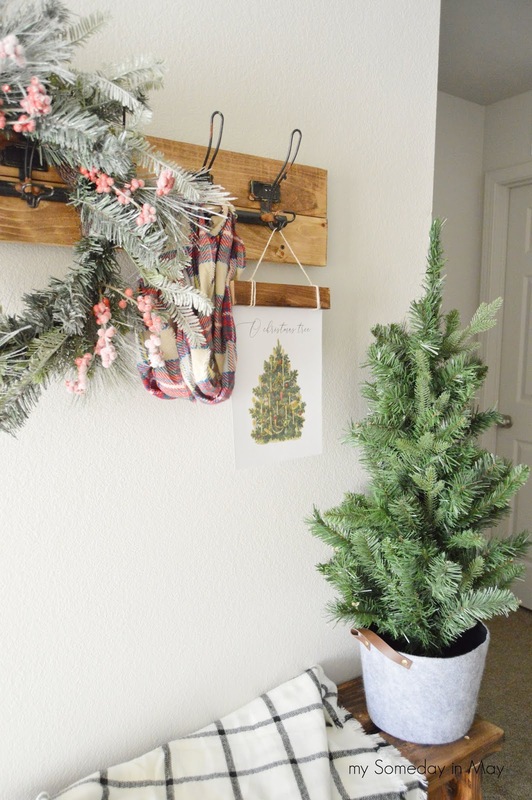 I couldn't wait to put it in my entryway and dress it up for Christmas! I'm so excited for the Christmas season! I hope that my little printable brings some holiday cheer to your home too. If you like my print, you can download it HERE. Thank you so much for stopping by! 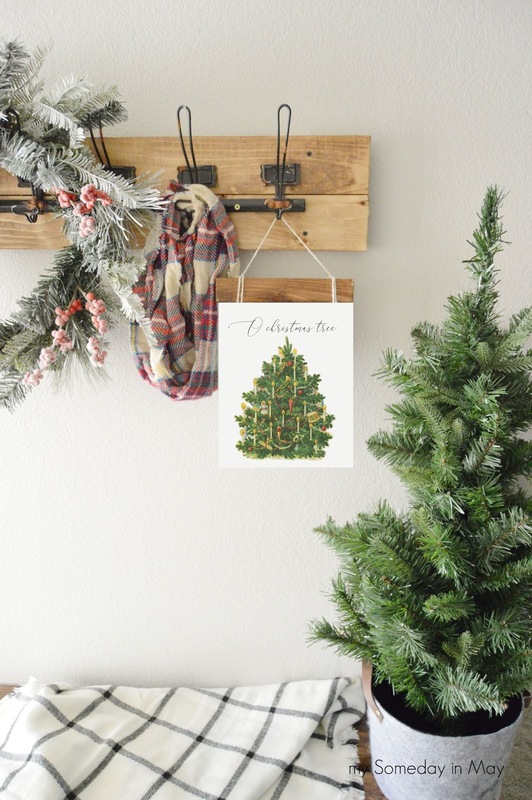 Don't miss these other FREE Christmas printables! Such a gorgeous print, thank you for sharing with us! I love this and love how you've hung it! So pretty! So cute!! Love the simplicity!